Gemma Steel took a convincing victory in Glasgow while Chris Thompson ran his fastest half marathon for six years in the big city event. 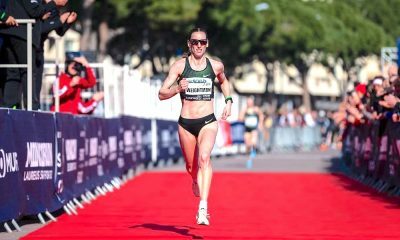 Gemma Steel made her comeback race one to remember following recent health issues, with an encouraging 34:00 win over one of her strongest distances in the Great Scottish 10k on Sunday (September 30). Steel revealed in an interview with Fast Running this week that she has been diagnosed with Gilbert’s Syndrome, a liver condition that has left her feeling wiped out and weak in sessions. Although her time today was way off her 31:26 PB – which still ranks her third all time in the UK – it will provide the Charnwood AC athlete with a much-needed confidence boost ahead of the forthcoming cross country season. 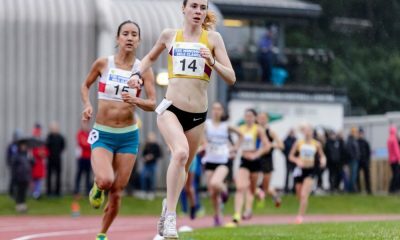 Edinburgh Uni Hare & Hounds’ Mhairi MacLennan was just 12 seconds behind in second, while fellow Scot Elspeth Curran from Kilbarchan AC took the third prize in a season’s best 35:11. In the men’s race, Edinburgh AC’s Adam Craig took the win in 29:43, while Metro Aberdeen’s Cameron Strachan secured second place in a 31:20 PB, just holding off Shettleston’s Dan Bradford by two seconds. 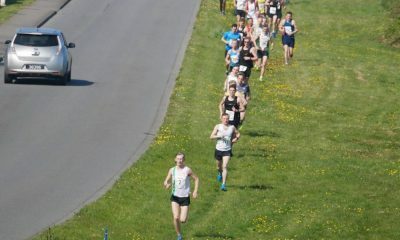 Chris Thompson won in emphatic style with a top class 62:07 result, his fastest in six years. The Aldershot, Farnham & District man shows no signs of slowing down as he advances further into his V35 category, with his time ranking him third all time behind only Mo Farah and Paul Evans. He saw off strong competition from Poland’s Marcin Chabowski, who in the end finished about 100 metres behind in 62:24, a PB by two seconds. Glasgow’s Luke Traynor ran 62:56, a minute shy of his fastest time, to claim the third prize. The diminutive Ethiopian Mara Dibaba enjoyed a close battle with Bahrain’s Kenyan born Rose Chelimo, with Dibaba eventually pulling away to take the win comfortably in 69:15 to Chelimo’s 70:07. USA’s Alia Grey was some way back in third with a 73:32 result, while Shettleston Harriers/Armagh AC and Fionnuala Ross was the first UK athlete across the line in fourth in a superb 74:11 PB. There can’t be many races that are so utterly dominated by the home club, but that was certainly the case here when five of the top six men’s positions were filled by Cheltenham & County Harriers athletes (September 30). Ben Price took the win in 69:50 ahead of Dominic James’ 70:16, while Alex Lee completed a podium clean sweep with a 70:39 result. 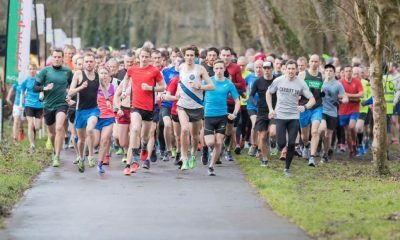 Derby AC’s John Parker spoiled the party with his 71:08 in fourth, while Cheltenham’s Alex Pilcher dipped under 72 minutes when he clocked 71:47. While Shaftesbury Barnet’s Rachel Felton took the top spoils when winning the third of the four half marathons she’s contested this year so far in 80:07, the women’s runner up prize went to the most decorated Ironman triathlete of all time, Chrissie Wellington. In a superb race for athletes and spectators alike, Wellington returned to the event she’d previously finished third in back in 2016 by going one better and improving her course best by a significant margin when she clocked 81:07 to finish second. Almost Athletes’ Helena Youde sliced a large chunk off her previous best when she ran a big PB of 82:55 to come a well-deserved third place. Marshall Milton Keynes’ Stephen Tuttle’s 73:07 earned him the second prize in his home town, while Highham Harriers’ Jacob Hendrickson ran 76:17 to complete the podium. Shenley Striders’ Wendy Clark sliced an astonishing six minutes and 33 seconds off her season’s best when she took the top honours in a 90:52 PB. Clark was streets ahead of her nearest rival, Redway Runners’ V45 Sarah Bird, who clocked 95:35 for second, while Laura Syrett’s 98:01 saw her finish third lady. Aldershot, Farnham & District’s Louise Small continued her comeback from injury with a hugely dominant win in Windsor this morning when she finished more than four minutes ahead of her nearest competitor in an encouraging 77:10. Small’s victory was her second of the weekend, the first being a successful bake of friend Steph Twell’s wedding cake the previous day, when her AFD club mate married fellow elite athlete Joe Morwood! Hart Road Runners’ V45 Lesley Locks was second lady in 81:28, with Katie Mauthoor’s 85:15 good enough for third prize. Dan Jarvis was a class winner of the men’s race when he clocked a winning 67:53 to knock nearly two minutes off the Liverpool Harriers’ PB. It was a competitive affair in the rowing town, with South London Harriers’ Tom Higgs and Swansea Harriers’ Phil Matthews by just 22 seconds in second and third, crossing the line in 69:14 and 69:36 respectively. The women’s race witnessed fast times in the Somerset town (September 30), as Taunton’s appropriately named Hannah Taunton took the win in 36:41 ahead of Tiverton’s Serane Stone’s 37:37 and Taunton’s Kate Drew’s 37:58. 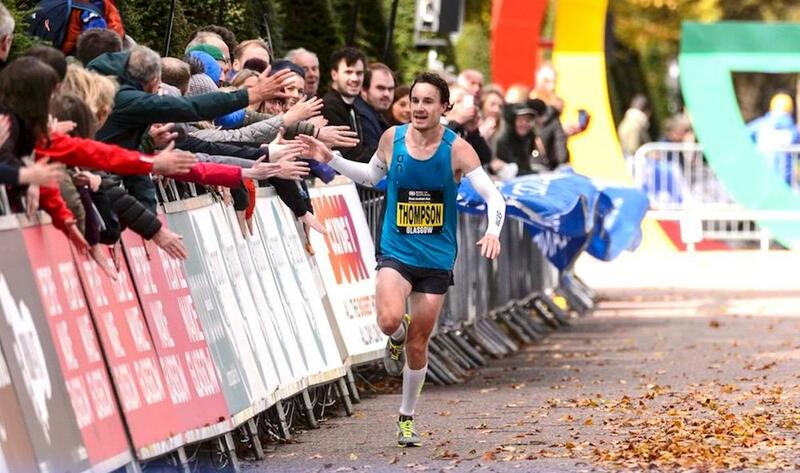 Minster Milers’ Dan Cahill won the men’s 10k in 33:49, while the second and third placed runners were also under 34 minutes. Taunton School’s U17 ace Alex Male ran a superb 33:57 to just see off South Molton Strugglers’ Paul Cooke, who was given exactly the same time. Rotherham Harriers provided yet another race winner when V40 star Fiona Davies took victory in the Yorkshire town (September 30) in 36:57. In her last year in the V40 ranks she is proving to be one of the most consistent over this distance in the country, with seven outings this year alone all well under the 40 minute mark. Meanwhile, Denby Dale’s V55 Bridget Coomber provided further proof that age is no barrier to continued fast times as she finished second in 40:49, a time that sees her go second in her age rankings for the year. Petra Kubesova’s 41:30 earned her the third prize in Cusworth. Rotherham took the men’s top prize too when Lee Milburn ran 32:27 to beat off competition from Trafford’s Jeff Prest (33:26) and Doncaster’s Carl Ryde (33:35).